Jeremy Clarkson ‘MP’ – Should stars be in the commons ? At one time, politicians and Members of Parliament, were depicted as powerful, intelligent and passionate individuals, motivated to changing their constituencies and campaigning for the beliefs of their party manifestos. Today, it seems a generation of citizens relying so heavily on TV and celebrity culture are looking to support and vote for more familiar faces. Although it might not entirely be serious, it does bring about the question of whether the tide is shifting towards who voters want to stand and represent their views. Expenses scandals, wage increases and tough policies on budget cuts have led many to question who they want to lead the country and who they want to stand in their area. The rise of the UK Independence Party has shown how even a party with little funding can attract a keen following. UKIP gained well in the 2013 local elections and has risen significantly in the polls. Policies which tackle immigration and the debate over Europe have gained support over the U-turns and dithering of the coalition government. However, to me, it seems that the success of UKIP is to be temporary rather than long-lasting. The current manifesto is a simple argument against government policies which have proven controversial which is why the party have become ever more popular in recent months. However, let me dig back to 2010 General Election. Third running horse Nick Clegg made a promise about university tuition fees. When arriving in Government that policy was comprehensively broken and so much of the hype and support that the Lib Dems had in 2010 has since been wiped away. The same, I fear, I will happen to UKIP. So does this mean that all independent candidates should give up? Not necessarily. 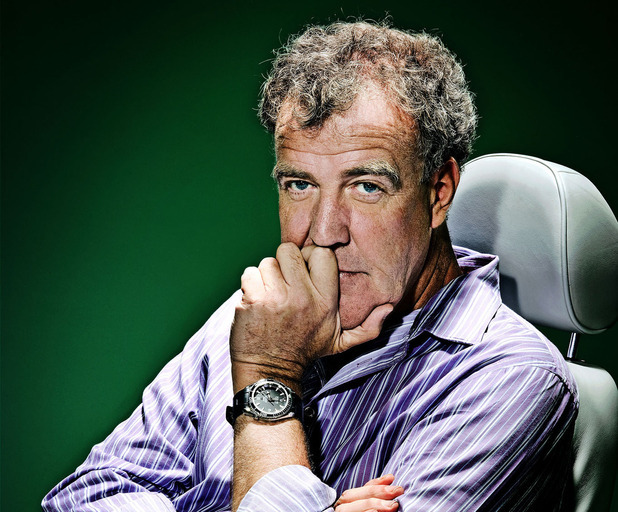 In Jeremy Clarkson’s case, he is a controversial figure. 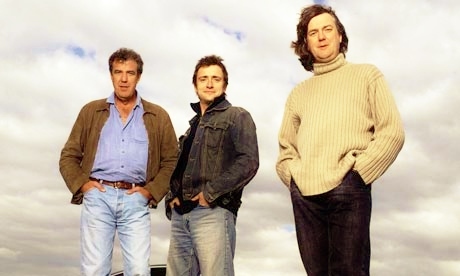 On the BBC’s Motoring show, Top Gear, the presenter is known for his outspoken comments about the Government and their actions; these are generally supported by the studio audience, a reflection of the millions who watch Top Gear around the globe. So certainly he is on some kind of level with the voter. As much as I enjoy Clarkson, it would be hard to see how he would create his own policies without reference to bigoted points such as “everybody who drives below 70mph will be blown up”. His controversy on Top Gear which make the weekly headlines is unlikely to make him a serious candidate, but some of his thoughts and interests do reflect the ‘national interest’. Could we be seeing Jeremy Clarkson in the Commons ? An opinated figure, there have been previous campaigns for Jeremy Clarkson to be Prime Minister, thanks to his somewhat eccentric ideas yet the campaigns have been dismissed by Downing Street. However, the character of Clarkson would be ideal as a politician. He openly states that he “sits back” and waits for the criticisms of every Top Gear episode and he is certainly familiar to making the headlines. His hard faced and stubborn approach which has beckoned him a legion of fans make him suitable to the modern day politics of spin, controversy, blunders and media. But what about his thoughts? Although many sceptics dismiss him entirely, his thoughts expressed on Top Gear are often sensible. Ever since the first series of the motoring show, he has campaigned for the axing of the M4 Bus Lane. He has challenged former transport ministers about speeding on the roads, questioning whether it is just another way of taking money off motorists. His interview with John Prescott was intentionally a ridicule but the former Government minister was left trembling and dismayed by Clarkson and his audience. Whilst the familiarity and persona of Clarkson may make a good MP, I’m not sure about his policies and manifesto. Of course, there have been celebrity culture links to modern day politics. Former GMTV presenter Gloria De Piero switched from sofa to backbench, joining the Labour Party as the MP for Ashfield. There have also been many a celebrity endorsements. John Cleese, Daniel Radcliffe, David Tennant, Gary Barlow, Lord Sugar and more have all publicly supported a respected party, usually through public broadcasts. The idea is to create a profile and personality to a political party. If someone the voter follows on the television is suddenly supporting a party, the mass following can be convinced to vote. Vital when voting figures spiral down every election. Familiarity to the party is key and using famous faces is the way to do it. Of course there have been attempts to bring politics into the celebrity culture. Nadine Dorries MP used the “I’m a Celebrity…” programme to raise her profile and supposedly raise interest in politics through the TV medium. Of course the moments when she did speak about her political beliefs were edited out. The result was a humiliation. Figures such as Lord Sugar blend their political roles and celebrity lives seamlessly, whilst some MP’s become renowned for their reputation. During the Olympic and Paralympic Games in London in 2012, Chancellor George Osborne was unceremoniously ‘booed’ by the strong crowd. It is probably very easy to gain a reputation in politics. Doing one thing alone can last a lifetime. John Prescott’s punch on a voter for instance. Today, as generations and the population grow, so does the interest in celebrity lifestyle, showbiz and gossip. Little consideration for the politics of Westminster and local government. It’s a shame. The suggestion by Top Gear’s infamous host will be supported by his strong following because of their interests and desire. It will probably never happen. But it does bring a very good question about the familiarity of our representatives. Despite the scandal and sleaze, not all of our MP’s should be tarred with the same brush, but if Jeremy Clarkson can intend to run as a Member of Parliament, who else can. Raising their profile, connections and general familiarity is key ahead of the next election for the members.